Teems, David. Tyndale, The Man Who Gave God an English Voice. Nashville: Thomas Nelson, 2012. This book supplied for review through BookSneeze®. A renowned critic suggested that only Shakespeare’s prose “is capable of surviving comparison with Tyndale’s.” Yet Tyndale lived his life—and performed his art—in exile. This is no mere biography. It is, rather, a scholarly exposition, an historical work. 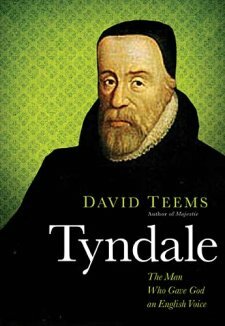 Drawing on the writings of Tyndale and those around him, Teems presents Tyndale in a way that leaves you less confident of the things you thought you knew about him, but more familiar with the substance of William Tyndale as a person. Chapters are devoted to the various stages of Tyndale’s life as well as to his translation work and his other writings. Significant space is given to providing the historical context of Tyndale’s work and to introducing the men—both friend and foe—who impacted Tyndale most. First, this book is a rich source of historical information on the Reformation era. Significant portions are devoted to men such as Martin Luther, Sir Thomas More, Oliver Cromwell, Anne Boleyn, Desiderius Erasmus, Henry VIII, Thomas Wolsey, and many other figures whose lives intersected with the translator’s. The reader will gain rich insights from these encounters. Second, the reader will come away from this book having read first hand excerpts from many of the letters and documents that shaped the world in which we live. Third, Teems devotes much space to Tyndale’s translation of the New Testament and the impact it had. There is a helpful discussion on Tyndale’s philosophy of translation and a wealth of information about the history of our English Bible stemming from Wycliffe’s work and progressing through Tyndale’s work to that of his companion, Myles Coverdale, and others. Fourth, Teems digs into Tyndale’s writings to catch a glimpse of Tyndale that is deeper than the normal focus on his translation work. 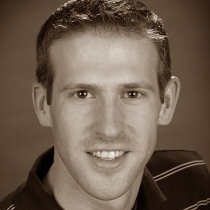 He seeks to understand his thinking, his philosophy, his theology, and his passion. One highlight for me was learning that even though Tyndale’s translation was considered no little crime, it was for his crime of defending the “heresy” of sola fide (justification by faith alone) that he was condemned to die. First, though Teems’ subtle humour provided me with many a good chuckle, his thoroughness borders at times on tedium. Still, it is some of the more pleasurable tedium you’re likely to encounter. Second, this work is more academic than devotional. At times it is obtuse. Third, The relationship between the author as a Christian and the author as a scholar is awkward at times. The author is ambiguous about where he stands regarding the Roman Catholic Church and the Reformers. On a few occasions, theologically liberal views are hinted at such as denial of the supernatural. Fourth, though there are some helpful appendices, there is no subject index. This is disappointingly inconvenient for a work of this nature. An excellent work. Well worth the read. Enjoyable. Enriching. Edifying. Thanks Jason. I’ve always enjoyed your book reviews.